We offer a bed in a mixed 8 beds dormitory (girls and boys) with free breakfast every morning. We only accept volunteers that are willing to stay for 2 months minimum. We do not accept volunteers for few days/weeks. The schedule will be from 18:00 to 23:00 everyday. One day off per week is allowed (usually Monday or Tuesday). 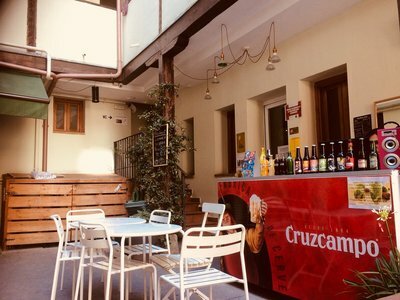 The tasks will be: serving at the bar, creating atmosphere by involving the clients in activities and providing free walking tours of the neighborhood (Malasaña). English language required. Some Spanish knowledge will be appreciated but not compulsory. We are looking for fun, creative and social people!